TULSA -- Governor Kevin Stitt mentioned incarceration rates in Oklahoma as one of the key topics in his State of the State address. One program in Tulsa is tackling the issue by getting people treatment, instead of throwing them behind bars. "My addiction was getting very bad, spiraling out of control," said Benjamin St. John, a patient of Tulsa Sobering Center. Benjamin St. John found himself living on the streets of Tulsa, drinking alcohol constantly. "It’s the only thing a homeless person can do, turn to alcohol or drugs, whatever they’re doing, it’s really hard out there," said St. John. He was picked up by Tulsa police in early January, and instead of jail, he was taken to the Tulsa Sobering Center where he and others are given ten hours to sleep it off. "I wanted something different in my life, to be sober and have a good life," said St. John. What's unique about Tulsa Sobering Center, is once someone is cleared, they can walk around the building and check into 12 & 12 recovery center, and continue more in depth treatment. "The detox center is really great, they will sober you up so you can go over to the treatment center, 12 & 12, and it’s really nice," said St. John. The center opened in May last year. Since then, 456 have passed through, 53 of them entering detox, and out of that number, 25 received treatment at 12 & 12. "I suffer from bipolar, so they got me on the right medication so everything is going good," said St. John. 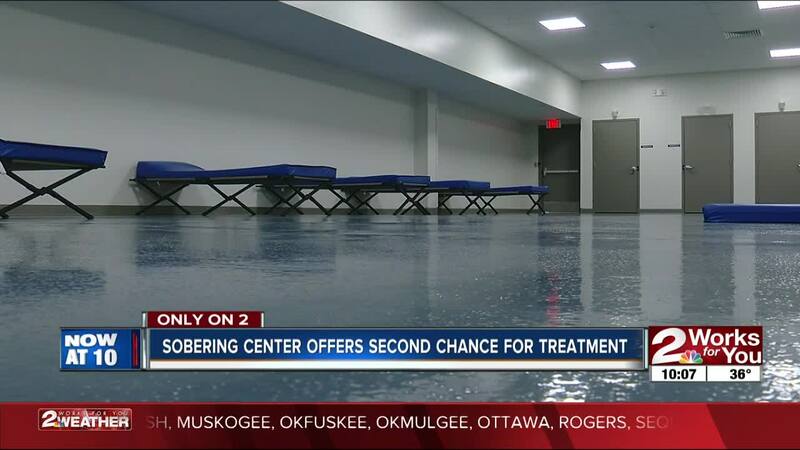 The Tulsa Sobering Center is a first step towards getting treatment, instead of being behind bars. "I think clearly and I’m not negative, I’m not in jail at least," said St. John. Adults come out of the center without criminal charges, court dates, or arrest records. Instead, they walk away with a second chance. "It’s really hard to change your ways, but like they say if there’s a will there’s a way," said St. John.